Lets face it hiring a stump grinder will always be the cheapest option but not necessary the easiest or most efficient. 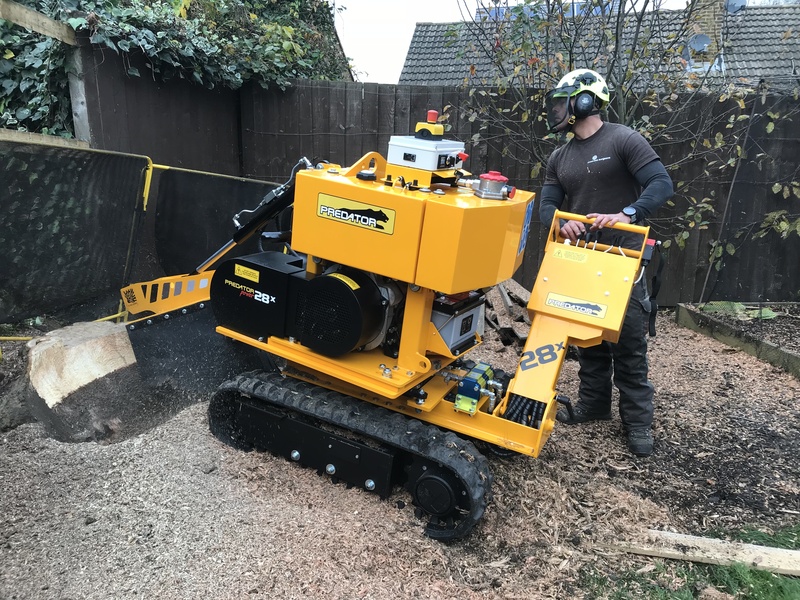 Stump grinders from hire companies are underpowered and will not be capable of removing most tree stumps especially hard wood tree stumps or that of any real size. Further to this the teeth if not sharp in the first place will need to be sharpened or changed which are all additional costs as well as time and require skill and equipment to sharpen correctly. Crown Tree Surgeons ltd offer a full tree stump removal service capable of removing all size of tree stumps by a trained operator. The image below is of a 35bhp stump grinder using a multi tip cutting tooth system that is not available form hire companies. This tree stump in this image was 4ft across and 2ft off ground level it took machine and operator only 1hr to remove from start to finish. If you have any questions on tree stump removal services please call or e mail a member of the team we would be happy to help. This entry was posted in Blog on 25/11/2017 by Crown Tree Surgeons.